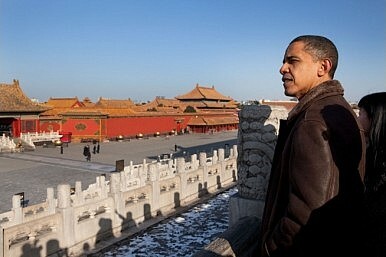 China’s more assertive foreign policy has challenged the Obama administration’s worldview. Expect a new US grand strategy. In its first year, the Obama administration envisaged a two-pronged foreign policy. The first prong—cooperative strategic engagement—sought to build and sustain cooperative partnerships with states and non-state actors who operated within (or hoped to join) the international order. The second, which was aimed at actors like the Taliban and North Korea who seek to undermine or destroy the international order, consisted of a quite different approach—war, containment, or coercive diplomacy. US policy toward China was supposed to be the centerpiece of the first approach, based on the underlying assumption that the world’s major powers ultimately share the same threats and interests— tackling terrorism and pandemics, ensuring economic instability, and preventing nuclear proliferation. The Obama administration hoped to build on these shared interests to bring emerging powers, like China and Brazil, fully into the US led international order. Essentially what the administration aspired to create was a concert of powers—geopolitical competition was supposed to be consigned to history. As Secretary of State Hillary Clinton put it in July 2009, the multi-polar world would be a multi-partner world, with the United States set to use its unique role in the world to help major powers overcome barriers to cooperation so they could collectively pursue their common interests. And China was supposed to feature strongly in these plans, with the administration working hard to deepen strategic and economic dialogue and offering China more influence in the international order. Senior officials talked up China’s importance and leverage over the United States and avoided any actions that could antagonize Beijing. For example, in 2009, the president didn’t meet the Dalai Lama and accepted a tightly choreographed visit to China, while his administration initially avoided selling defensive arms to Taiwan and explored adjustments to its relations with India. But what followed was nothing short of a revelation for much of the administration’s foreign policy team. Instead of accepting the offer of a full partnership, China became far more antagonistic and assertive on the world stage. It expanded its claims in the South China Sea, engaged in a major spat with Google over Internet freedom, played an obstructionist role at the climate change negotiations in Copenhagen, regularly and openly criticized US leadership, and, sought to water down sanctions against Iran’s nuclear programme at the UN Security Council. Senior administration officials said influential voices in Beijing saw the United States as a power in decline and perceived an opportunity for China to take advantage. The United States’ regional allies and partners, meanwhile, expressed their concerns over this turn of events and called upon the United States to restore its traditional leadership role in the region. The mounting evidence that China simply isn’t interested in becoming a full stakeholder in the US-led liberal international order has forced the administration to respond with a new policy in Asia. In addition to ongoing engagement with China, this new tack seeks to deepen US ties with other powers in the region, and unlike the earlier approach doesn’t shy away from advancing US interests and values—even if it upsets Beijing. The US must be careful not to make China feel like it is being contained. A mix of co-operation and balancing is a much better course.